IMPORTANT INFORMTION - Due to current UK laws you have to be 18 years or older to purchase ANY firearm. Guns CANNOT be delivered to your home address and must be collected from Sussex Guns, Battle, East Sussex or alternatively a 3rd party registered firearms dealer*. When collecting your gun please provide a valid form of identification and / or your firearms certificate. If you require more information please call us on 01424 773 511. • Sussex Guns can only send a firearm/shotguns & airguns to Sussex Guns in Battle or a 3rd party registered firearms dealer within the UK for collection. • On collection you will provide valid identification (none FAC airguns) and a firearms/shotgun Certificate (for any other gun). *A 3rd party dealer may charge a small handling fee but this will be discussed when a member of staff calls you to confirm your order and collection. 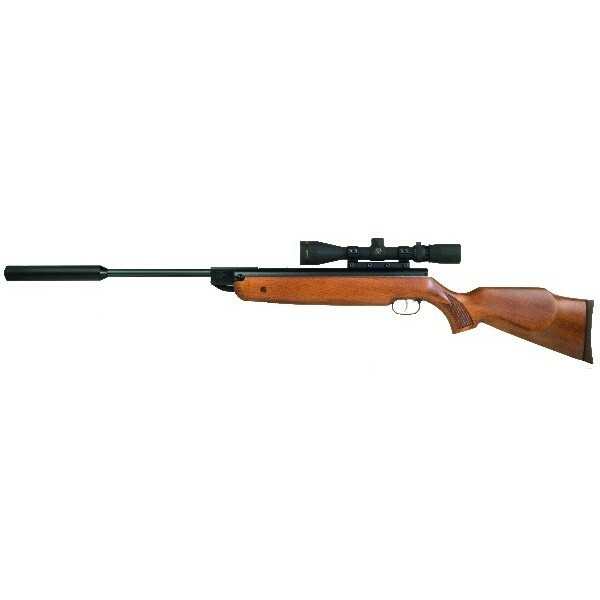 The HW 80K is the carbine version of probably the best break-barrel air rifle available the HW80. The robust construction, the excellent accuracy and the powerful mainspring guarantee an extraordinary efficiency and penetration power especially at longer distances. Beautifully shaped Monte-Carlo-stock (beech), checkered pistol grip and rubber buttplate. This latest version from Weihrauch has been updated with the addition of their 1/2inch UNF silencer.